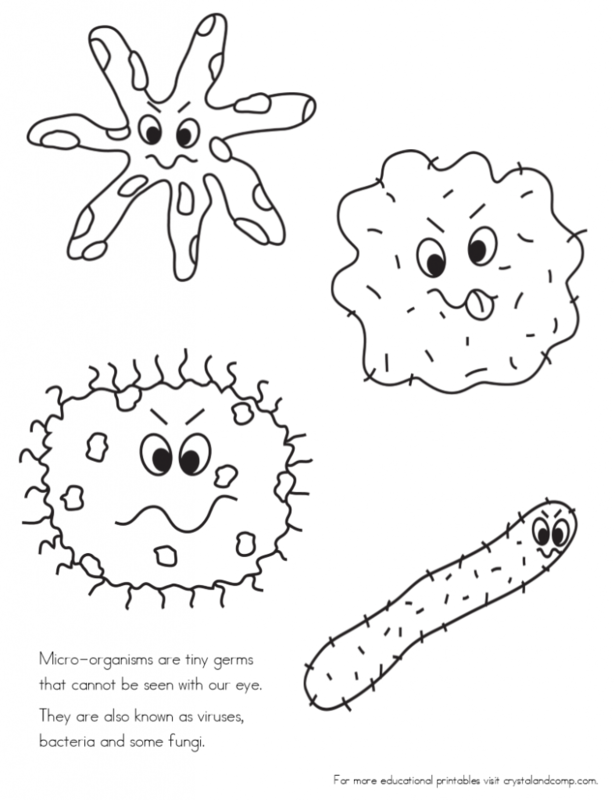 What better way to learn about germs and resting when you’re sick than to do so with kid color pages. 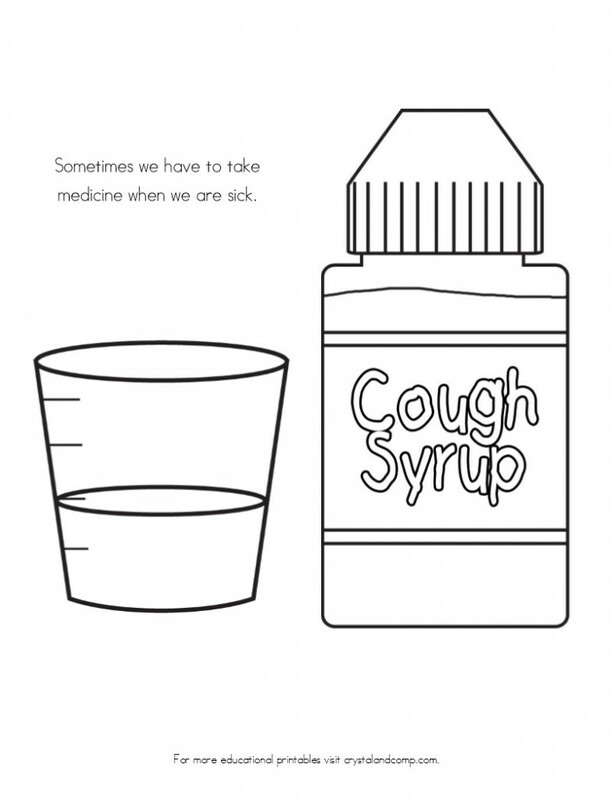 These pages are perfect to share with your kids at the beginning of the school year and before cold and flu season. 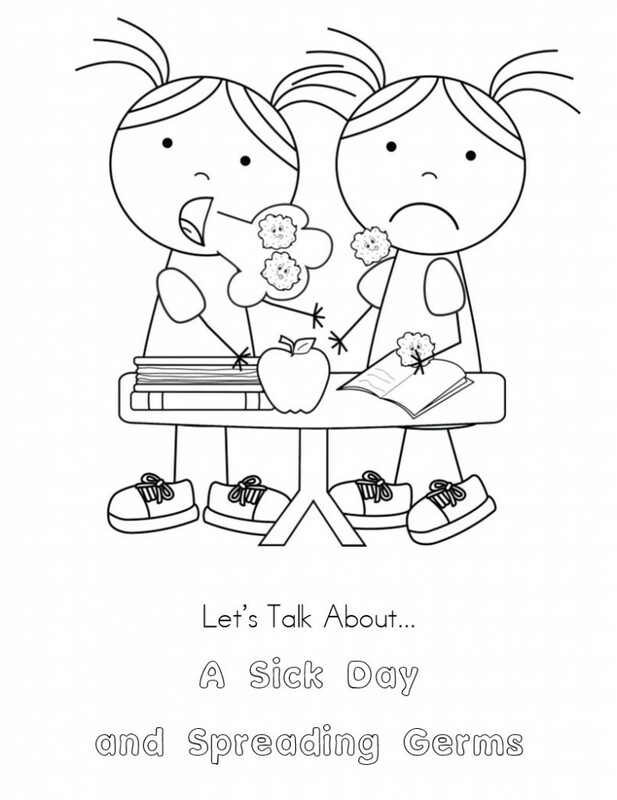 They remind kids of basic things they need to keep in mind when they feel like they are getting sick and when they see friends who are sick. Have a child home sick who is bored? These are the perfect color pages to help them pass the time! 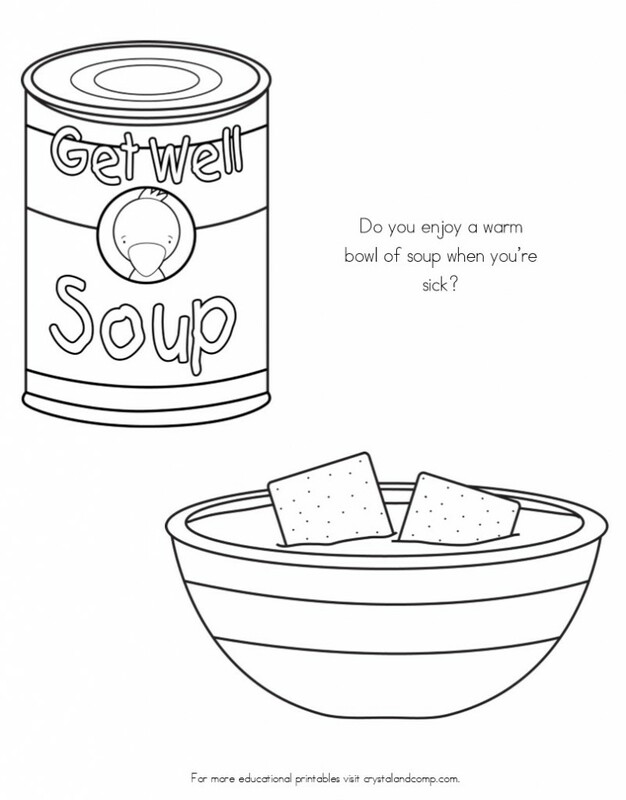 Print out your kid color pages that are all about having a sick day and how to not spread germs. You can click on the link above or on any of the images to print the packet. 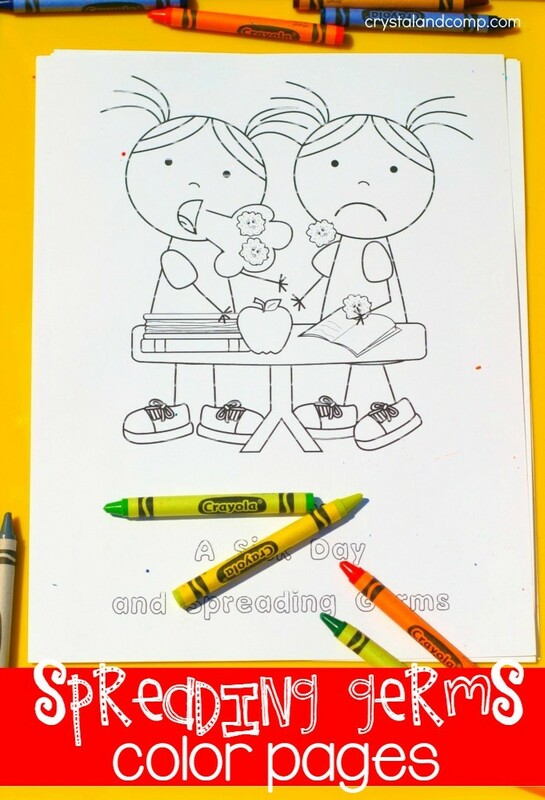 There is fun facts and information on each page you can go over with your kids. Let’s take a look at this 10 page packet! 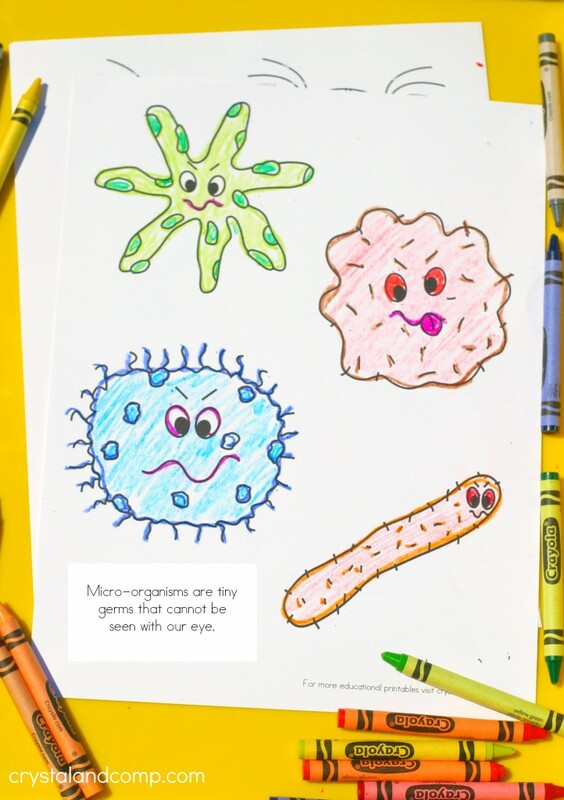 We remind our kids that micro-organisms cannot be seen with our eye. They are super tiny. They come in different forms like viruses, bacteria and fungi. Micro-organisms help us by breaking down waste and such but they can make us sick. 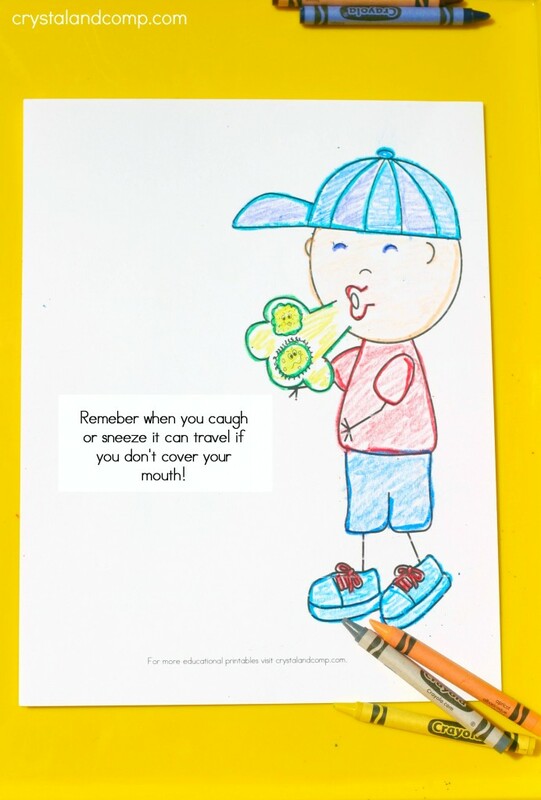 Remind kids how quickly germs can grow and spread. Also remind them how important it is to wash our hands and cover our coughs and sneezes! 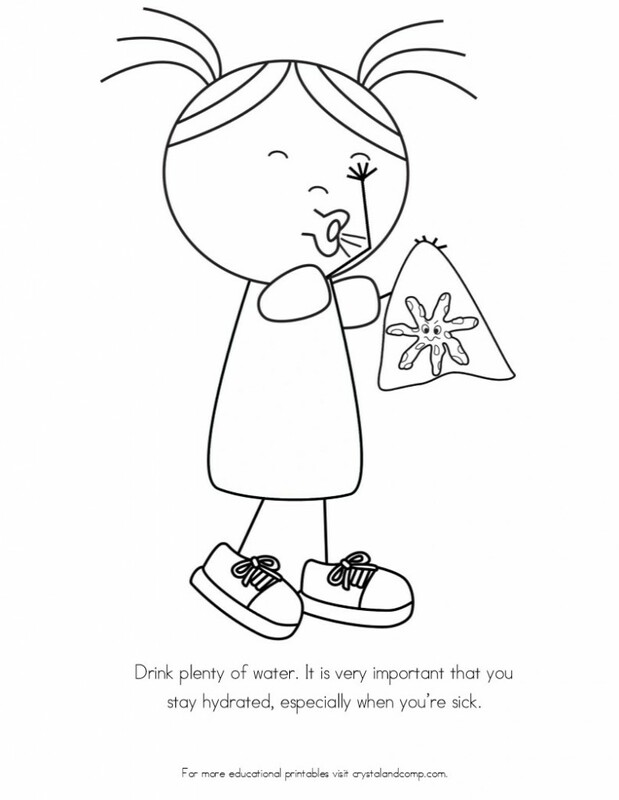 When we are sick it is very important that we stay hydrated and drink plenty of water. I love chicken noodle soup and broth when I am sick. Sometimes when we are sick we have to go to the doctor. Sometimes we just need plenty of rest. If we have to take medicine when we get sick, we need to ensure we read the labels and take the medicine exactly like the doctor and/or instructions indicate. Coughs and sneezed can travel 3 meters! Covering our mouth is super important so that we do not get our friends and family sick. Sometimes we do not have a tissue handy when we cough or sneeze. I tell my kids to give it the elbow and cough or sneeze inside the crease of the elbow. This can help keep germs away from others. 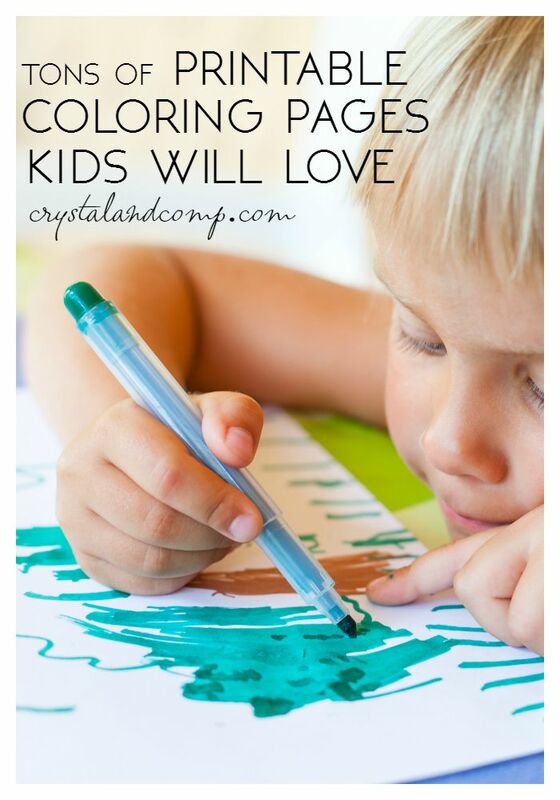 I hope that you and your kiddos enjoy these color pages! 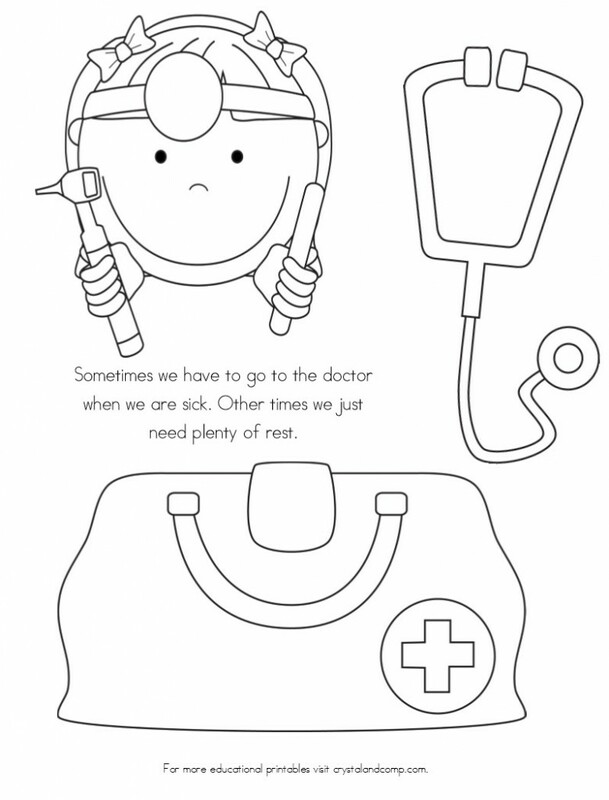 What is your most important advice when your family gets sick? 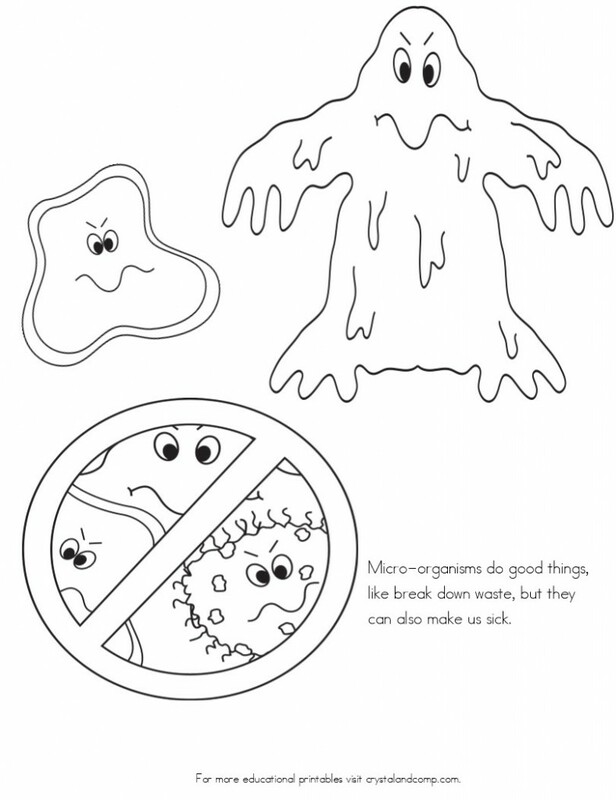 Love the idea of using a sick day to talk about germs! Yay! Glad you like it. I think these will be perfect during cold and flu season. I love these! We were just talking about why we wash our hands and cover our mouths when we cough. Perfect as many kids head back to school! Glad you found them useful! These are really cool. Thank you for sharing them with us.